Our London based translation agency provides accurate ad reliable Chichewa translation services for businesses and private clients worldwide. 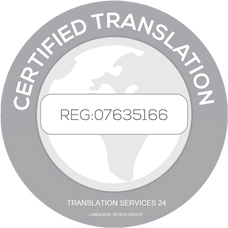 Our team of professional translators and our in-house experienced project managers work together in order to ensure that your translation is as . We work only with native speaking Chichewa translators. Each translator undergoes a strict selection process and intensive training. Thus, we ensure high quality and full cultural adaptation of your English to Chichewa translation. Moreover, we specialize in English to Chichewa translations that require a deep understanding of specific terminologies for a wide range of business industries. We deliver various English to Chichewa translations on any topic. Our company has delivered English to Chichewa tranlsations to hundreds of businesses. For the best customer service we assign a specific project manager to each and every client. Accurate Chichewa translations can make a big difference in the business environment. That’s why our rule is to deliver the projects on time and via the most suitable means. We also treat all English to Chichewa translation orders separately searching for the best approach based on your requirements. Don’t hesitate to contact us, and discuss your English to Chichewa translation project. Or simply fill in our translation quote tool, and our team will start working on your English to Chichewa translation straight away!